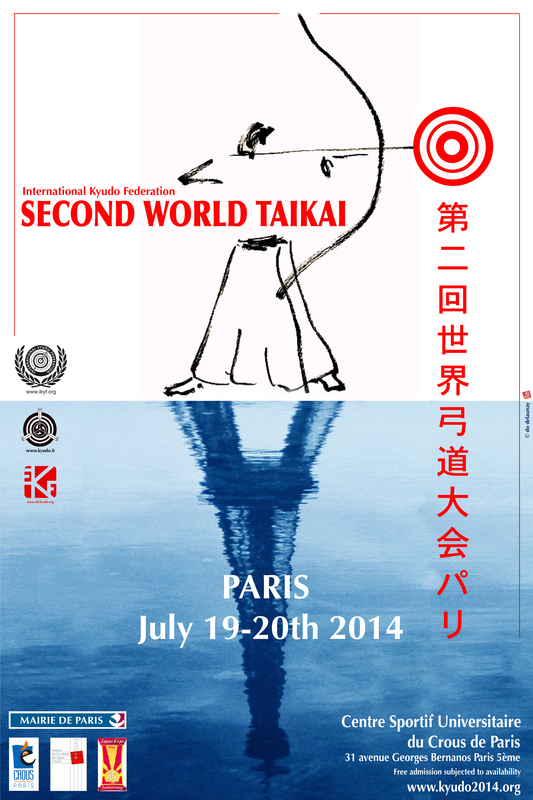 As a further initiative to promote Kyudo to an international audience, the World Kyudo Taikai was held in Paris, France on July 19 and 20, 2014, welcoming the best kyudo archers from 21 countries around the world. The First World Kyudo Taikai was held in Tokyo, Japan, in 2010. This inaugural Taikai was won by France who achieved, in one round, the rare feat of scoring with twelve arrows out of twelve. All the participants in the Second World Kyudo Taikai gathered at the Sports Center located within the University of Paris. This was the first time that an event of such scale and importance has been held outside Japan. Purpose：The World Kyudo Taikai was organized in Paris, France, in order to further promote Kyudo to an international audience. Regulations：Based on the “Kyudo Competition Regulations” published by All Nippon Kyudo Federation and the “Executive Guideline” of this Taikai.